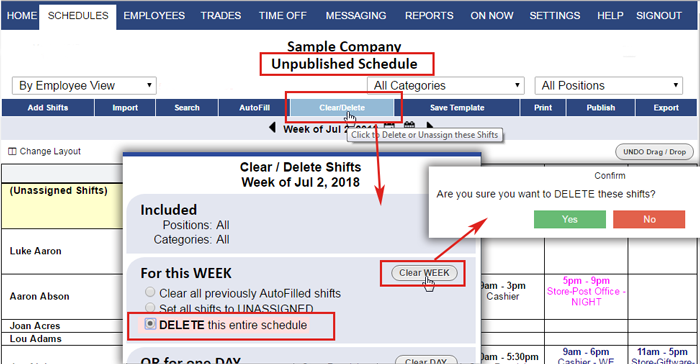 On Unpublished weekly schedule views, you can use the Clear/Delete button to delete a whole schedule week. Deleting a schedule week removes all shifts and sets the week to be empty. The deleted shifts can be restored if needed on the Deleted Shifts view.